A book detailing the calendar of International Days - including World Oceans Day, World Refugee Day, World Suicide Prevention Day, World Tourism Day, World Teachers' Day, International Day of Rural Women, World AIDS Day, World Cancer Day, World Radio Day, Martin Luther King Day, etc., etc. The newspapers and media love to announce that “Today is the International Day of....” as a hook for other stories. But who chooses these days, how are they selected and what, exactly, are they meant to achieve? 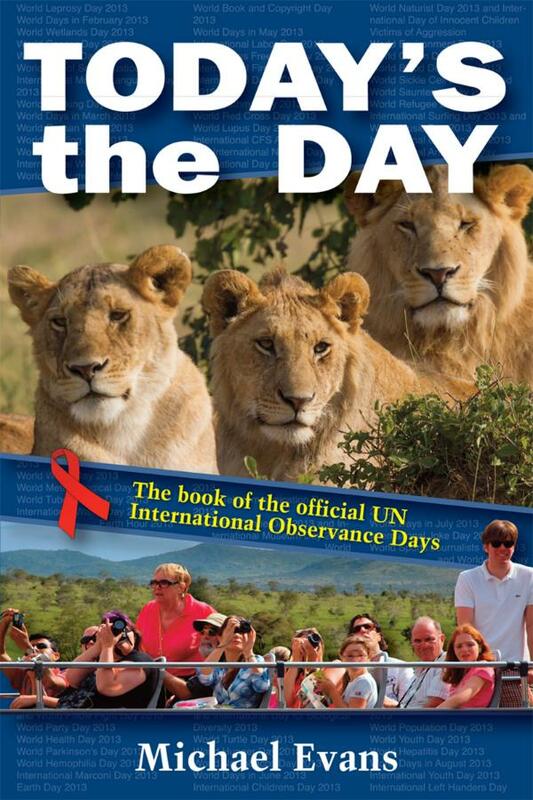 This book not only lists the UN International Days, but also includes a host of fascinating information about the background to the days, why they are held, how they are celebrated, who is involved. It is a book stuffed with amusing anecdotes, serious data and fascinating information. A book for anyone’s bathroom. Michael Evans is a regular contributor to Earth Times and other current affairs magazines. He is the author of over 75 books. After a career as a teacher, Michael turned to writing, mainly for magazines, on current affairs and other topics.